This tutorial will show you how to release Comments and Marks to the Portal. Note that both are released in the one action to the portal, however the girls will only see comments in the portal until they submit a reflection through their portal, which will automatically make their marks visible to them. 2. 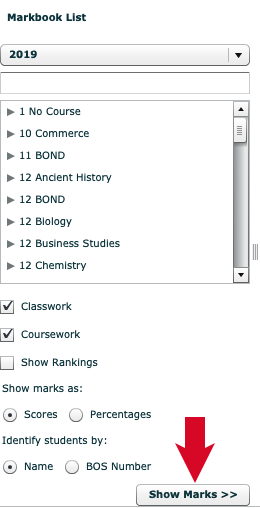 Locate and click on the appropriate course in the list, then click on ‘Show Marks’ (red arrow below). 3. 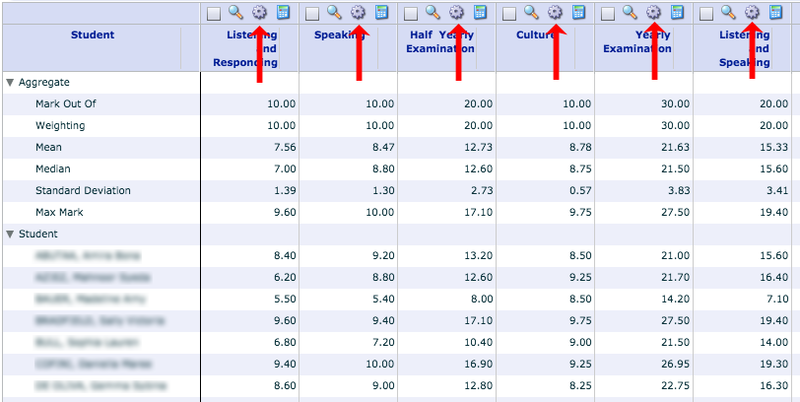 Click on the cog icon (examples indicated with red arrows below) above the task you wish to release comments and marks for. 4. 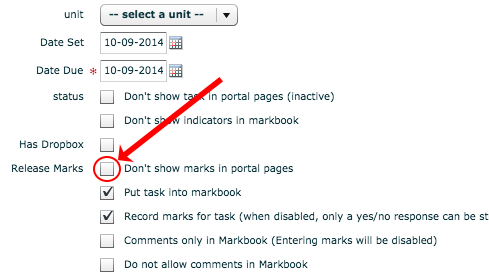 Un-tick the box next to ‘Don’t show marks in portal pages’ (circled in red below) so it appears as below. n.b. you can ‘un-release’ the marks by re-ticking this box and saving! 5. Click Save! This will instantly make your comments available to the student’s through their portal, and upon them submitting a reflection in their portal they will also see their marks.